In May 2018, thousands of Georgians took to the streets of Tbilisi to protest against missteps of the government shown on two occasions. In response to a drug raid by the police on popular nightclubs in Tbilisi, on 12 May 2018, members of the club community spontaneously gathered in front of the parliament, demanding the resignations of the interior minister and the prime minister. Two weeks after the massive rave protest, when the government seemed to be confident that turmoil was over, a second phase of protests erupted following a court decision that confirmed the failure of the prosecutor’s office to investigate a murder of two 16-year-old schoolchildren committed 6 months earlier. While the two waves of protests had different triggers, they were both addressing a defective rule of law in Georgia. The ruling party, finding itself in a deadlock of street protests and a resulting political crisis, had no other choice but to agree to establish an interim parliamentary commission with the majority representation of the parliamentary opposition party European Georgia, probing into the case of the teen murder. The commission will try to shed light on the murder of the two juveniles and the investigation could immensely influence the overall political processes in Georgia as it may disclose alleged vested interests and systemic failures of the entire justice system. The cascade of street protests triggered the resignation of prime minister Giorgi Kvirikashvili on 13 June 2018, which was already a long awaited outcome for the founding father of the Georgian Dream (GD) party, billionaire Bidzina Ivanishvili. Prime minister Kvirikashvili, noted that in recent months he had differences “on certain fundamental issues” with Bidzina Ivanishvili, who emerged from backstage to return to the chairmanship of the ruling party Georgian Dream on 12 May 2018. Kvirikashvili’s resignation, therefore, proved to be yet another evidence of Ivanishvili’s powerful informal influence over the government and his unaccountable standing above the prime minister and the law. During his farewell address, Kvirikashvili fairly pointed out his achievements, however, his premiership successes were overshadowed by failures regarding the justice system, the rule of law and the overall strengthening of democratic credentials of Georgia. Following Kvirikashvili’s resignation, the ruling party Georgian Dream nominated finance minister Mamuka Bakhtadze to lead the government of Georgia. The little-known minister Bakhtadze has served as Georgia’s minister of finance since November 2017. According to the parliament chairperson, Irakli Kobakhidze, Bakhtadze was selected for the position of prime minister based on his “distinguished education and multilateral experience”. According to the opposition, however, Bakhtadze, a man with no political past and credentials, is Bidzina Ivanishvili’s personal choice and his work at the railway company has been a failure since the company’s turnover has halved under his leadership. 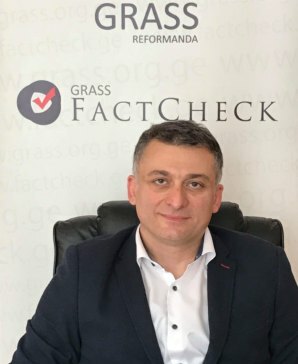 According to the president of Georgia, Giorgi Margvelashvili, Bakhtadze is yet another prime minister chosen through political masquerade rather than through democratic political process. The new prime minister, approved by the parliament on 20 June 2018, is coming to office with a two-year government program called “freedom, fast development, prosperity”, based on his “concept of small government”. Yet, whatever good intentions the new prime minister may have, his premiership is doomed to be associated with a lack of democratic legitimacy, as the driving force behind his premiership is the recently reincarnated “supreme leader” Bidzina Ivanishvili, holding the position of GD’s chairmanship. Some may argue that the resignation of prime ministers and peaceful demonstrations are a part of well-functioning democracies. However, the wave of protests in Tbilisi over the past months and the resulting resignation of the prime minister highlight the fact that the frontrunner EaP country, fairly recognized so by Western partners, has some deep-rooted problems concerning rule of law and accountable governance. The recent developments just create the illusion of a responsive government, which in practice might not bring substantial changes as it is subordinate to one man’s unaccountable leadership. At a glance, it may seem that Georgia is undergoing an “illiberal democratic” drift, quite similar, for instance, to the one in Poland. Although illiberal trends in different European capitals provoke an immense debate, it may not ultimately turn out to be an incurable development. Within an EU member state these trends might still be constrained by the well-functioning and powerful defenders of democracy either on national or EU level. However, such illiberal leanings in the context of an unconsolidated and still fragile democracy in Georgia may create a rather existential threat for the European path of the country. What Georgia needs are strong democratic checks and balances, systemic reform of the justice sector and a consolidation of democracy, with no room for unaccountable leaders standing above the law. Although civil society in Georgia is taking to the streets to defend rule of law, it may not be sufficient. It is also of crucial importance that Georgia’s Western partners, despite the internal challenges, bolster up their support for Georgian democracy and exert their influence to curb unaccountability in Georgian politics. Mehr Informationen zu unserem Projekt „Berlin Policy Hub“, das im Rahmen der „Europeanization beyond process“ Initiative von der Open Societies Foundation gefördert wird, finden Sie hier oder auf Twitter.